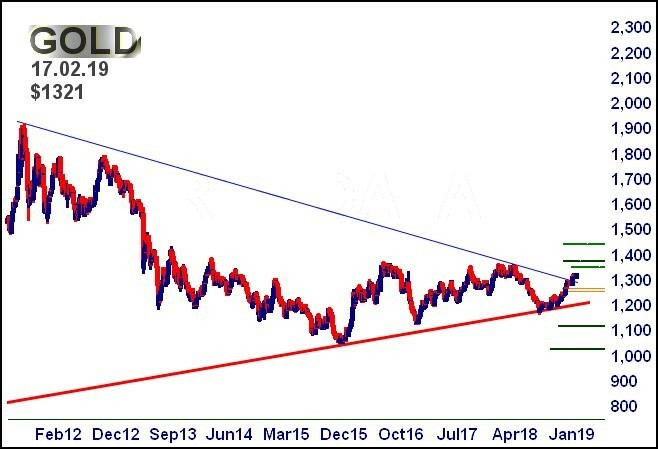 Breaking out of a long-term downtrend is a big deal for gold, argues our charts expert, but where next? We tried something new at the weekend, giving a talk to the local (in Argyll) business community on thoughts for the future, Post-Brexit, using varied instruments as the basis of discussion. Obviously, sterling, gold, Brent crude, the FTSE 100 index, and even Lloyds Banking Group featured in our presentation, each item provoking useful Q&A sessions. The big discovery; apparently, it's possible to talk about the stock market, making it interesting, useful, and entertaining! Perhaps foolishly, I found myself agreeing to do it again after Brexit, next time in a venue which can handle 300 people! One of the subject areas, gold, is perhaps of special interest. As the chart below illustrates, the metal has broken a downtrend that dates back to 2011. As a result, there's a pretty fair chance it's about to start showing some proper recovery. In keeping with our law demanding "Higher Highs", the shiny stuff requires better than $1,328 presently, and we'll view it as on a cycle to $1,373 next. Secondary, if bettered, is a longer term $1,443. A word of warning, one which should be visually obvious. The prior highs of the gold market in 2018 will be almost certain to provoke some hesitation in price growth, doubtless around the $1,350 mark. As a result, we'd tend to anticipate some stutters at such a level. For it all to go wrong, the price requires a melt back below 'blue' on the chart, $1,290 at present. Therefore, if taking a Big Picture long position and hoping for the best, it affords a relatively tight stop against such a large potential reward. We rather suspect this flamboyance in gold prices should be reflected among the miners who specialise in the area. 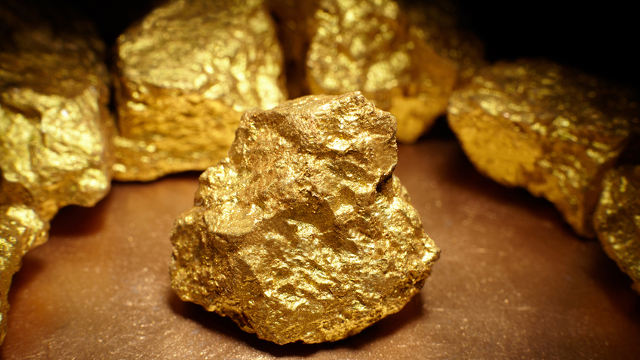 ii view: You can also gain exposure to gold via collective investments like funds, trusts and ETFs. interactive investor's new Super 60 list of high-conviction investments picks the iShares Physical Gold ETC in the 'specialist' category. We like the fact that this option buys gold directly, rather than gaining exposure by buying derivatives, like many commodity funds do.